How To Cut Your eBay Costs by 91% doing International Shipping via Royal Mail! I’ve been in this online selling world for many many years now and as well as my own invaluable experience, I’ve also personally dealt with thousands of people who want to start their own eBay, Amazon, or ecommerce business. Any mistake you can think of, I’ve either done it myself (yes, I’m the first to admit I make mistakes – how do you think I learnt everything I know and everything I teach?) or I’ve witnessed it happen first hand. And that’s why I started this blog and created my video courses – to help others and to hopefully stop people making the same mistakes again and again. Of course I make money from selling my courses, I am a business man after all – but my primary purpose is to help others, so they can make a better life for themselves and their family by creating their own successful business. So I hope you can understand how frustrated I get when I see people making stupid mistakes!!! Simple, easy things that people aren’t doing that’s costing their business and them money! Well – eBay’s Global Shipping Programme. It seems to me like the Global Shipping Programme is taking over eBay and just becoming more and more popular by the day and I honestly can’t understand why! For those of you who don’t know, the GSP is a program run by eBay that allows you to sell internationally without having to do any extra work compared to UK sales. If you opt in to the GSP, then your listings will automatically be shown to international buyers at the final price they’ll need to pay and if they chose to order from you, you simply post it to a UK address and everything else is taken care of for you. And I mean everything – international postage, customs, import and export charges, tax – you don’t have to worry about any of that! Which sounds pretty perfect right? You get the benefits of reaching a huge marketplace compared to just selling on eBay UK but you don’t have any extra work! I mean, really, no wonder it’s so popular!? Well sadly, while it does sound perfect on paper, there are some significant flaws to eBay’s Global Shipping Programme, which I’ll go over now. Now the normal chain of events when you receive an international order is to simply ship it to your customer straight away. But when using the GSP, you instead have to first ship it to somewhere else in the UK and then it needs to be processed and shipped internationally. This adds an unnecessary delay and means your customer will have to wait longer to receive their item. When a buyer orders one of your items using the Global Shipping Programme, they pay for the item, international postage and any taxes upfront. Now anyone who has read my blog for a while or bought one of my video courses knows that I never suggest anything black hat and I always say you should declare the correct amount on all parcels you ship, which means that import tax should of course be paid on all applicable orders. But being realistic, we all know that for a lot of small items, the majority of the time they’ll pass through customs (even with the correct declared value) and your customers won’t need to pay anything extra. This is not the case with the GSP, as like I said, that tax is pre-paid! This is what frustrates me so much about eBay’s Global Shipping Programme – the shipping charges are sometimes ridiculous, in particular for small and lightweight items that are so cheap to ship via Royal Mail. 8 labels on one small sheet of paper costing £1. And the shipping cost to Finland? That’s right, thirteen pounds and fifteen pence to send a tiny little piece of paper! How is that even possible!? Using Royal Mail and shipping this same item to Finland would cost £1.17! That is more than 11 times cheaper which is simply crazy! And there are countless such examples on eBay – literally millions upon millions of items being sold internationally under the Global Shipping Programme that would cost 5,6 even 10 times less if posted using Royal Mail. And that’s with the face value retail prices that RM offer – anyone with a business account will get further reductions on top of that. And I honestly don’t understand this line of thinking AT ALL! So if your buyers are happy to pay postage charges that are ten times higher than they should be, that’s fine by you? Why not charge more for your product and get more profit? What about the countless customers who don’t order from you because of the ridiculous international postage costs? How much profit are you leaving on the table like this? And that is why I dislike the Global Shipping Programme so much. Yes it’s incredibly easy – you literally just have to opt-in and that’s it and yes you will still get some sales, but why stop there? Why not take care of everything yourself and then you’ll truly see how much potential there is selling internationally. In many niches international orders can even eclipse domestic orders and can become a huge part of your business. I’ve seen this happen with countless EAB and 60DBP clients and this trend is only increasing every year – international sales are a growing market, in particular within the EU (due to how easy it is) and for small, lightweight items. So in conclusion – yes, eBay’s Global Selling Programme is amazingly convenient and if you truly have no other option, it’s a good way to start selling internationally. BUT it has a number of limitations – namely the hugely inflated shipping costs, in particular for small items being shipped within the EU. If you want to really make the most out of international buyers and grow your sales to its full potential, then you should post internationally yourself and ideally even list directly on regional eBay sites such as eBay.com.au, eBay.de, eBay.fr etc. However, I do understand that this sounds very daunting for newbie sellers and even for long-time eBay sellers who have never done this before (after all, that’s why the Global Shipping Programme has taken off like it has). So I’m going to go through some of the most common questions/worries about selling internationally on eBay and answer them all for you. Starting is always the most difficult part and I actually wouldn’t suggest going gung-ho and listing on every country you can think of straight away as this can inevitably cause problems. Reliability – most countries in the EU have a fast and reliable postage system. Regarding reliability – this can be a slight issue with some countries. In particular Italy and to a lesser extent Spain… and I myself have actually excluded Italy from the list of countries I ship to because I had too many problems. BUT some people don’t face any such problems at all – it could just be bad luck or more likely it’s due to the niche you sell in. Either way, you should start with all EU countries and then if you notice that you’re having an usual amount of problems with any country in particular, you simply remove them from your list – as simple as that! Don’t just exclude them straight away based on other people’s experiences as that might not be relevant to your niche and business. So always test to be sure by starting off with all EU countries. How do I set Shipping Costs for each country individually? Well one answer is to find out exactly what it will cost you to post to each country and then to use that in your listings. Austria, Belgium, Bulgaria, Croatia, Cyprus, Czech Republic, Denmark, Estonia, Finland, France, Germany, Gibraltar, Greece, Hungary, Ireland, Italy, Latvia, Lithuania, Luxembourg, Malta, Netherlands, Poland, Portugal, Romania, Slovakia, Slovenia, Spain, Sweden. But not to worry, because I have a solution to this, which is – use one shipping price for all EU countries. Yes, you can simply set one price that applies to all countries within the EU! And the reason I’m happy to suggest this is because shipping costs to the EU via Royal Mail are very similar, regardless of the country. Let me quickly go through a few examples, using a PS4 game as a test product. This will be sent as a large letter and with a weight of 101 to 250g. And I’m going to stop there! From the 5 countries I checked, there wasn’t even a single penny of variation in the price when shipping via Royal Mail. So I hope you can now see what I meant when I said you can simply set one price for all of the EU to save time and to make things simple. How do I handle customs!? Ah, this is the most common fear for international shipping and also the easiest to answer – there is nothing you have to do! There is no customs or tax AT ALL when shipping between EU countries. 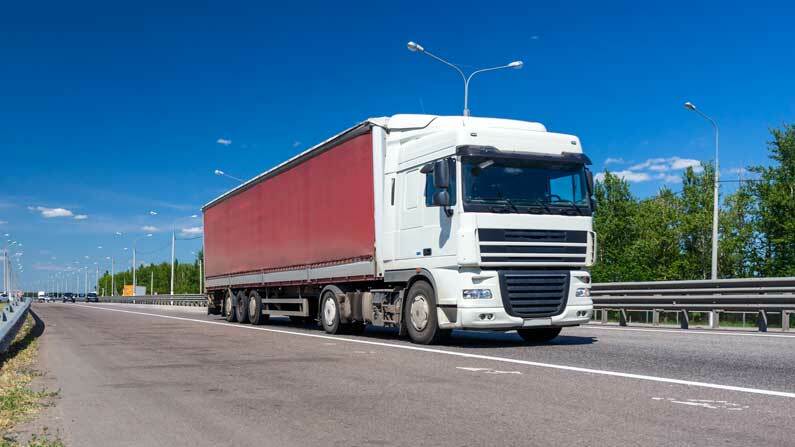 Whether you’re shipping to Manchester or Paris or Budapest, it’s all the same in terms of customs and there is literally nothing you or your buyers need to do. 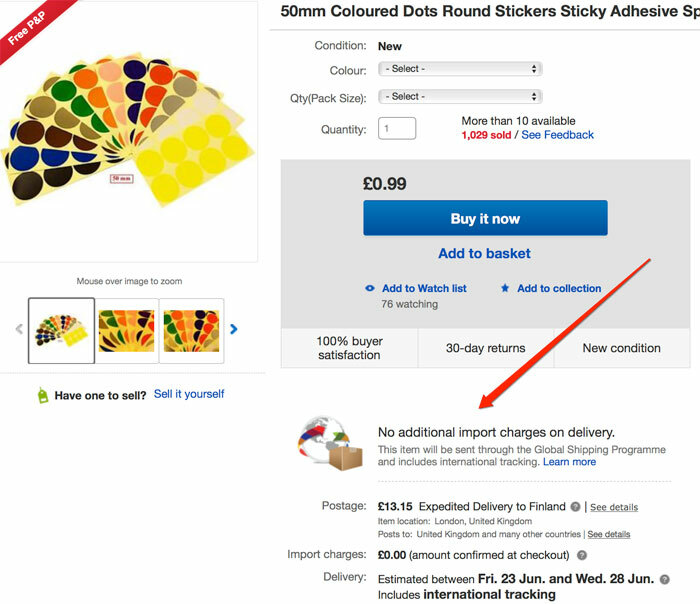 And even for items shipped outside the EU, you still don’t have to do anything. In this case, your customers may be liable for import taxes and items will have to go through customs but that’s all their responsibility and as long as you accurately describe the order and declare the correct value, you’ve done your part. How do I convert my money into pounds? And once again, this is an incredibly easy one to answer – you don’t have to! PayPal will take care of the currency conversion to allow your customer to pay in their own currency, but you will receive everything in GBP, to the exact price that you normally charge – there is nothing you need to set in PayPal for this to happen, it’s all automatic and that means there’s nothing for you to worry about. And there you have it – the four biggest fears about selling internationally all quashed! There really is no excuse – as business owners we spend ages on small little things that we hope will provide a small benefit to your business. These are all things that you should be doing because they will benefit your business and help you make more money at the end of the day! So by that logic – selling your products internationally is a no brainer – it can make a huge difference to your business. I’m not talking about a 5% increase in sales here – I’ve had customers whose businesses have doubled and even tripled from international orders! And I really hope I have convinced you that the best, most efficient way to do this is by shipping internationally yourself. Yes, the Global Shipping Programme is incredibly easy – you literally only have to tick a box to opt in and that’s it… but what’s difficult about doing it yourself? You don’t have to list directly on regional eBay sites if you don’t want all that hassle (though that is best when it comes to search rankings as you’re treated exactly like a local seller). Nowadays a lot of EU customers shop on eBay.co.uk directly so as long as you ship to them, you’re going to start making sales! All you need to do to get started is spend 5-10 minutes setting up your international shipping settings and you’re good to go. In terms of packaging and postage, there’s really no difference between EU and UK orders! Would I ever suggest using GSP? Well yes, I would. For one thing I really like the fact that using the Global Selling Programme protects you from late delivery and item not received claims as eBay take full responsibility once the order reaches their UK shipping hub, but the benefit of this has been reduced by eBay’s new update in regards to the late delivery metric. Another situation when I would recommend you to use GSP is when you sell items that are bulkier – e.g. items that are above Royal Mail 2kg threshold for International Airmail packages. So basically if you need to use a courier to ship your items abroad, GSP fees may actually be better than what you would pay to a courier company. Also, if you are absolutely not going to ship internationally yourself, then the GSP is still better than nothing as there are of course some customers willing to pay the extortionate shipping fees. But you know what they say, half effort brings half results and in this case it’s more like 75% efforts brings 10% results! So please, do things properly and see the real potential of selling internationally on eBay! That’s it for today’s post. I hope it’s been of use and inspired some of you to start offering your products outside of the UK. If you do already sell internationally then I’d love to hear from you in the comments section down below. What sort of results are you seeing? What countries are the best for you in terms of orders and are there any countries you’ve had to exclude due to shipping or other problems? Whatever your story or thoughts, let me know and I’ll personally reply to you within 24 hours. ? do the Royal Mail offer the purchase of online postage for international as I am unable to purchase it through click and drop or would I have to queue up in the post office. (select country from the list to proceed with next steps). Hello Andrew, Prompted by your excellent post I decided to move beyond selling just to EU countries and finally get to grips with Royal Mail’s zones and postage rates. For my business I only deal with small parcels under 500g in weight so this is what I researched and this is what I discovered. Royal Mail offers a Tracked & Signed International Service to 24 countries outside of Europe. To offer shipment to these countries in my eBay listings I will need to exclude 157 other countries. I think that a really long list of exclusions on a listing is off putting from a customer’s point of view because they have to take time scrolling through to see if their country is among them. I am thinking that it would perhaps be better to exclude whole categories instead. Central America & Carribean and Africa, for example, as RM offer Tracked & Signed service to only 5 out of 79 countries. I would be interested in your opinion. I appreciate that there are other services but I am only interested in the trackable ones. So what happens to potential customers in these countries? If a customer is logged into eBay (most people are automatically logged in), they will instantly see in the listing if shipping to their address is available or not and how much it will cost. So I don’t think a large/long list of excluded countries is a big problem. But sure, you can also eliminate whole regions if they only include few countries you want to ship to (and those countries are small/not important). As for those specific countries – eBay will tell/show those customers that you don’t ship there, unless you have manually specified that you ship to those countries. Many thanks Andrew. Helpful, as always! i really want to start having my business but I’m not sure how to begin. theres an online course for ebay/amazon that costs 1200 pounds and they teach everything you need to know and help you during anf after thr course. do you recommend to do it or you think i can learn everything i need to alone? I aim high. i want that my main income will come from the shop. Hi Andrew, great post thank you, But how in the world would you list each of your products in 30 EU countries?? Have you yourself done that if so how? By how I mean the workload how would you stream that or make it easier? I’m not talking about listing products on each regional site separately here. You can do that too of course, that would be next step for even further increasing your international sales BUT in beginning you simply start by offering international shipping on eBay UK website, as many EU customers shop on eBay UK. Additionally you can opt-in for the eBay.com visibility as many Europeans also shop on the main eBay.com website. Sorry for this being off topic but I need your advice. My stock is starting to grow and I need a software solution to manage this, especially inventory and accounting. I have looked at ERP solutions like Odoo but unfortunately they offer no integration with ebay / amazon. What do you suggest Andrew? You’ll want to use two different systems for accounting and inventory (and they both should be able to work/connect together). There are many, many options available and you’ll want to do your research to find most suitable system for your situation/needs. Some accounting software solution will be able to do basic inventory management too, if not built-in, then with a help of 3rd party plugins. Either way, you’ll have to research these options to find best solution for your business. This was me who had this problem and unfortunately emailed you rather alot about, Thanks again for the help you gave me, I managed to finally work it out after a couple of days. Now since we spoke i’ve had quite a few orders from over seas, but have recently had one from outside of Europe. My question is do you suggest i fill out a declaration form or just send it without on attached and hope it slips through?. You need to fill the form otherwise post office will reject it. I agree and I liked your analysis. I have been normally selling to other countries in eu and most of the times to other places around the world. My experience is that indeed in Europe only Italy seems to have many losses and delays but I haven’t excluded it. As well Greece might be a bit risky sometimes as I know from first hand that post men don’t pass from the houses all the days of the week thus this can cause delays.